Cardiac diseases are at a high rise due to the stressful and unhealthy lifestyle these days. Be it personal or professional life; everyone is under stress for some reason or the other. The heart as we all know is the vital organ which pumps oxygenated blood to various parts of the body and keeps it functioning well. Myocardial ischemia is a fatal heart condition in which the blood flow to the heart is reduced causing the blockage of coronary arteries. How Does Blockage In The Arteries Happen? Let’s have a detailed look at how this heart condition occurs in the first place. As mentioned above, the reduced blood supply can damage the cardiac muscles and affect its blood pumping abilities. It develops gradually over a period blocking the arteries over a period. Coronary artery disease or atherosclerosis- an excess of cholesterol build up on the walls of the artery can cause form plaques and restrict the smooth blood flow. Blood clots- a. The blood clots formed due to atherosclerosis can block an artery and lead to a sudden heart attack. Coronary artery spasm-Spasms are nothing but the temporary tightening of the cardiac muscles that can reduce the blood flow to the heart. Myocardial ischemia can lead to further complications like arrhythmia (irregular heartbeat), heart attack and heart failure. Like many other diseases, there are many risk factors associated with myocardial ischemia too. Emotional stress, cold temperature, excessive physical exertion and use of cocaine can cause the triggers for the chest pain. 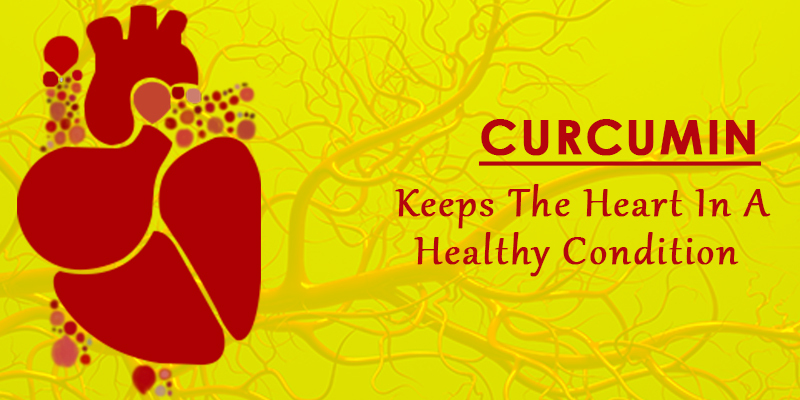 How does Curcumin help In Blockage of Arteries? Curcumin is a well-known anti-inflammatory agent that can help in reducing the inflammation levels in the body. It also has many heart benefitting properties that can keep the heart in a healthy condition by reducing the accumulation of fat and bad cholesterol in the walls of the artery.